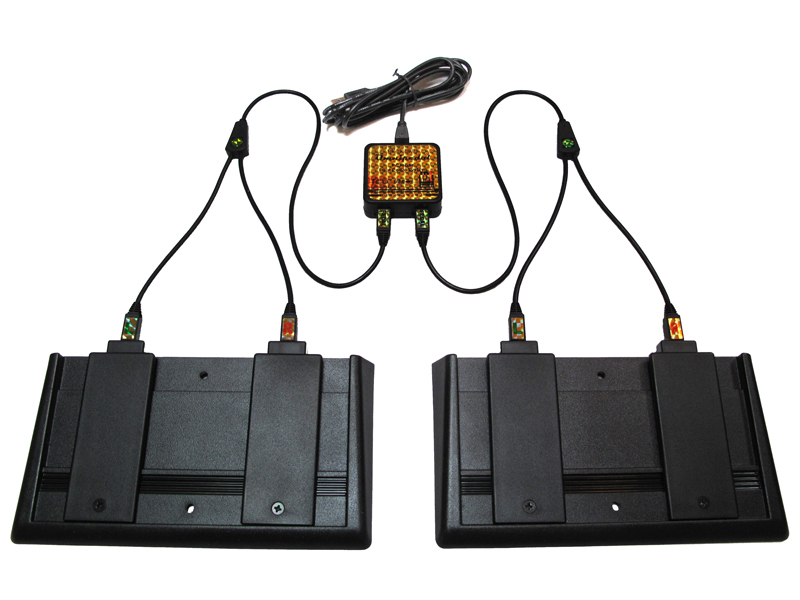 Winning games is all about fast, strategic, game input, and the 4 button Fragpedal Quad Gaming Footpedal is all about leveling up your game command power by adding foot input. 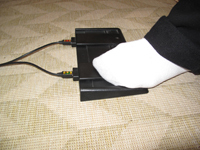 You are as fast with your feet as with your hands and using your feet reduces manual stress and improves your keyboard and mouse handling. 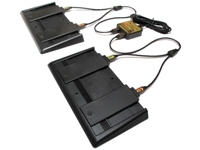 You owe it to yourself to give the dual-foot Fragpedal Quad a try. The “Foot Cannon” is built on powerful IDI™ Intelligent Input Device technology developed from over 5 years of pioneering experience with gaming footpedals and includes an exclusive set of gamer-requested hardware-based input enhancement features. 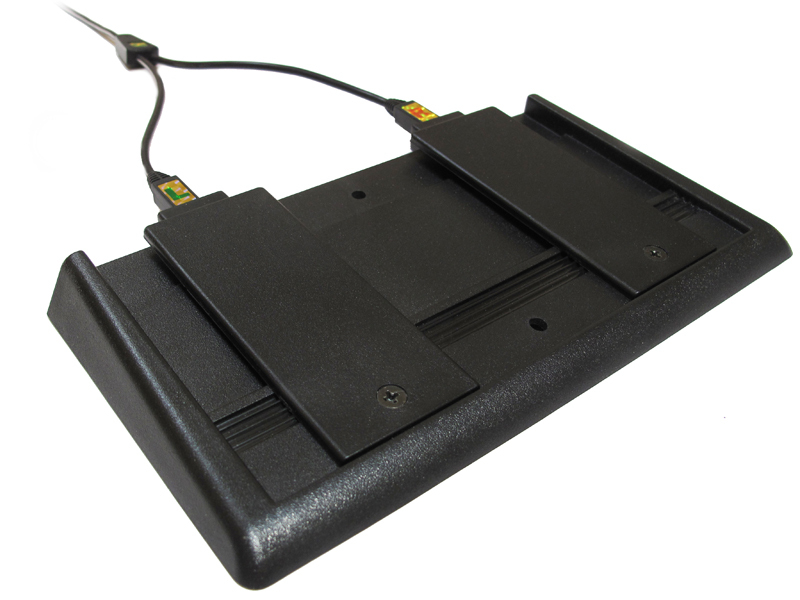 Best kept gamer’s secret: Save 20% on the Fragpedal Quad Gaming Footpedal with introductory pricing NOW risk-free with our 30 day no-questions-asked return policy. If they’re good enough to drive a car, you know they can drive your game. 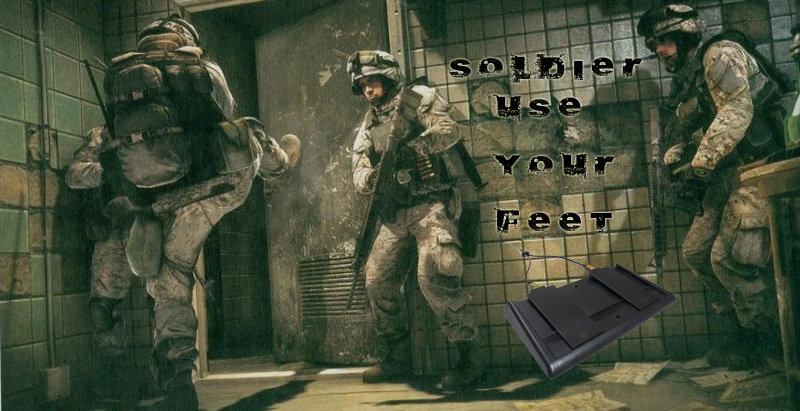 • Fire weapons with your feet! • Zoom with your feet! • Cast spells with your feet! 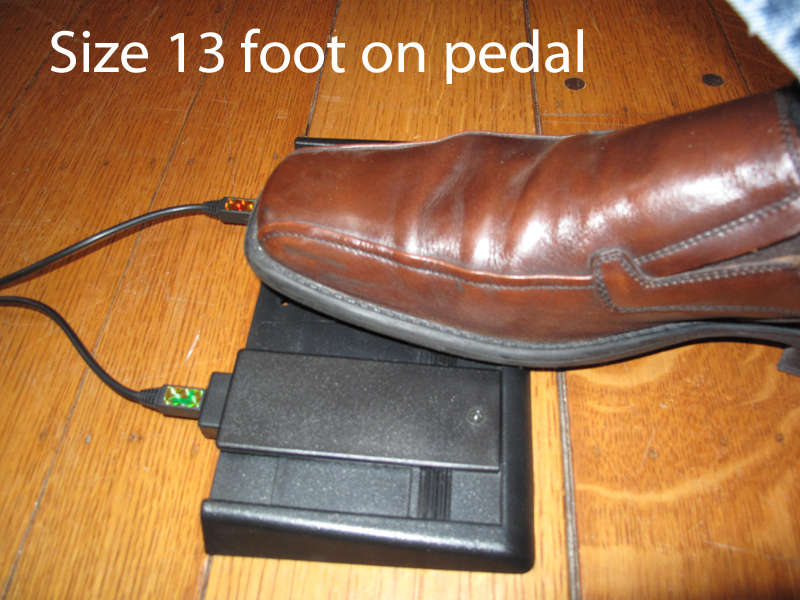 • Control movement with your feet! 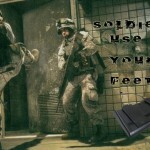 • Scroll with your feet! Four individually-adjustable buttons, two on each pad. 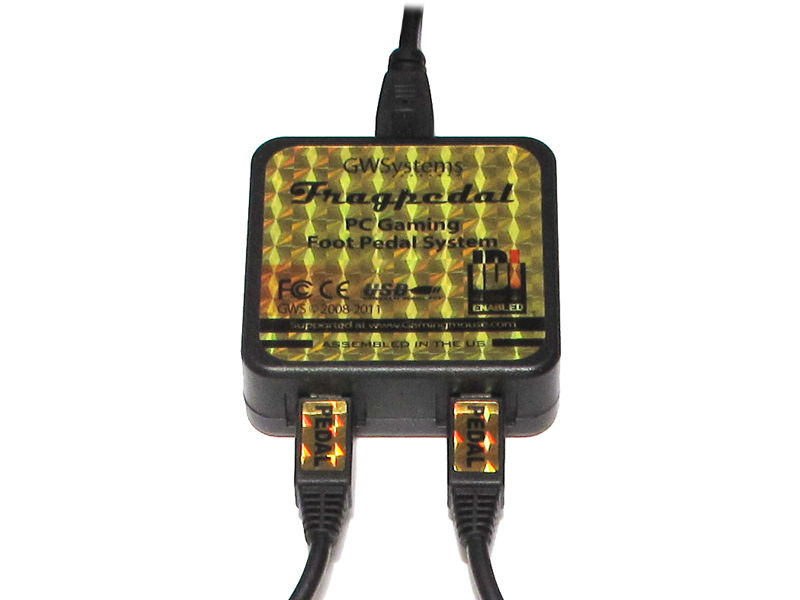 IDI™ (Input Device Intelligence) technology powering the Fragpedal Quad runs on an industry leading 32 bit processor (the STM32™ by ST Microelectronics) running at 72 MHz with 8Mb of flash memory support. Enabled by 20X the computing power of other gaming devices, the Fragpedal Quad’s advanced input enhancement features push the bounds of input technology. Program your Fragpedal with any keyboard or mouse action, combination, or sequence. 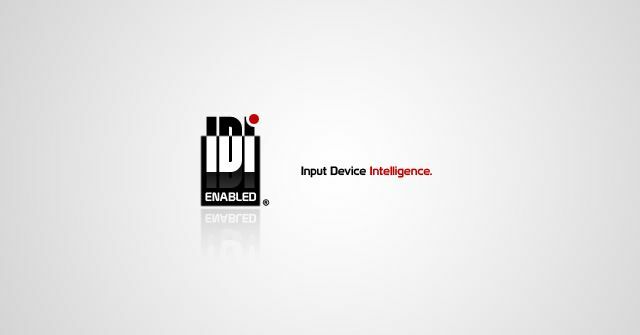 Plus, use IDI™ Smart Button™ capabilities to fire different actions on press and release, taps and holds, and more! Then, assign Smart Buttons and macros to your keyboard keys! Build up to 30 configurations, housing each of your control schemes designed for different games, play styles and applications, and switch automatically when you play the game. 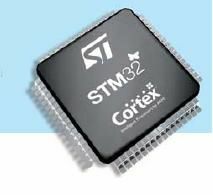 The STM32™ microprocessor and its 8 Mbits of flash memory endow the Fragpedal with the intelligence to manage 30 discrete sets of device and button settings, for use with specific games or applications. 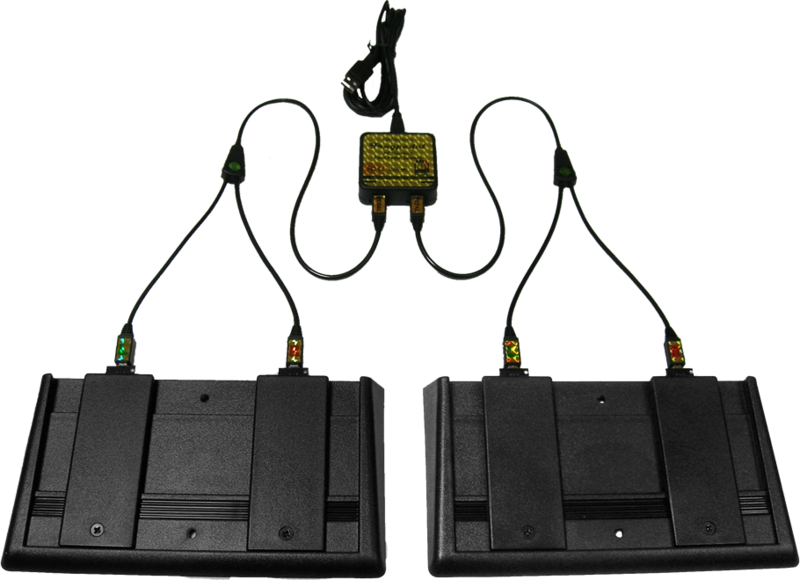 Configurations and macros are stored onboard, so the pedals can be plugged to different machines with full functionality. Fortunately, Smart button capabilities are simple to assign to buttons. 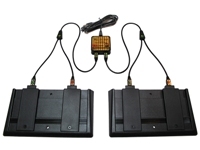 They are specified with simple macro instructions, and you can easily build macros of each Smart Button type using the MacroBuilder™ module of the Fragpedal Configurator. A wizard interface guides you through all the selections, so no programming is needed, just a wicked strategic idea. 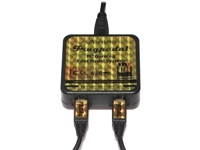 Endowed with IDI™ Tech, the Fragpedal Quad is an independent, driver-free, intelligent USB input device. 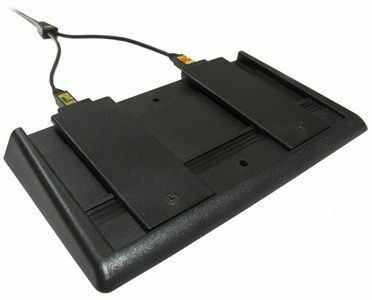 IDI™-based Keyboard Shadowing™ and Virtual Button™ technology enables Fragpedal macros on 32 keyboard keys a game. 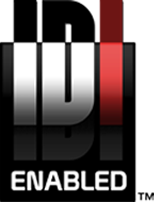 IDI™-based support for swappable game settings (up to 30) rewards you for maximizing the effectiveness of each button for each game. Assign your Fragpedal to in-game commands and macros designed just for your game. Set up game art to display on the game page of your Configurator™ and automatically switch controls when you start playing. • Onboard Memory Profiles – Store up to 30 game configuations in your Fragpedal. Back up the Fragpedal’s complete configuration memory to a single disk file. Create different sets of configurations, save them to disk, and then swap them to enable unlimited use of game configurations. Modularity: 100% – All of the Fragpedal Quad parts are easily user replaceable. 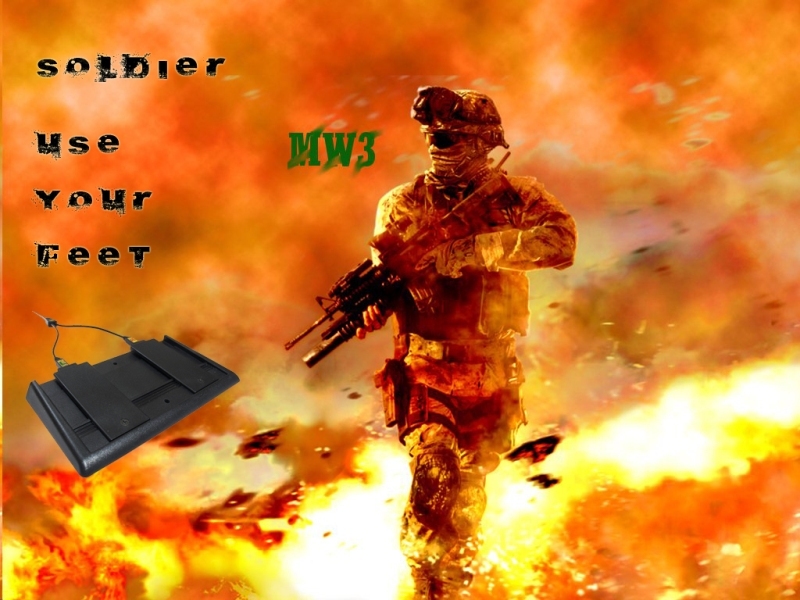 The modular design requires at most a single screw to replace any worn or broken part.. All parts are stocked at Gamingmouse.com. Settings saved internally The full set of user configuration data for up to 30 game configurations is stored in internal memory (8Mb) allowing full access to settings regardless of machine. Device memory contents can be saved to disk for backup and swapping. Driverless operation: All device operations are handled by the onboard processor and softwware, no host machine computing cycles are used for Fragpedal features. No special drivers are required, features simple plug and play operation on any Windows, Linus, or Mac machine. 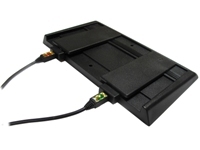 Application Awareness™ Device memory configuration swapping technology based on the current active game or program. Automatically swaps configurations in working Fragpedal memory within 30ms of entering a game or application. A second command or set of commands may be sent when the button is released..
***Strategic use is to increase speed of commands. By sending the same command on both the press and release, command repeat speed is doubled. Other strategic uses as well. ***Strategic use is to allow the tap of a button to have the effect of holding a button down. (The next tap releases the button) It frees up fingers and can be used with any game command. 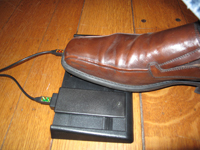 Most efficient method to turn something on and off or switch between 2 different commands. 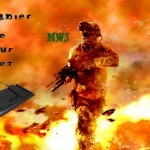 ***Strategic use is to quickly change between up to 3 items or commands with a single button. The commands loop through up to 10 press/command sequences. Command sequence can be interrupted and reset if timing between commands exceeds a user set value. Pressing a button assigned the Shift function allows a second set of commands for the other buttons. Assigning a Shift button to the Fragpedal Quad enables 6 Fragpedal button assignments. adjacent key combos: designate any set of 2-5 keyboard keys to be pressed together and recognized as a key combo, usually most effective with adjacent keys. Greatly extends the options for key combos. Onscreen display: Text messages, confirmations, and feedback are displayed in a transparent window that pops up over the application window. (Display does not function in full windowed games) Display and removal of Text window is macro controlled.